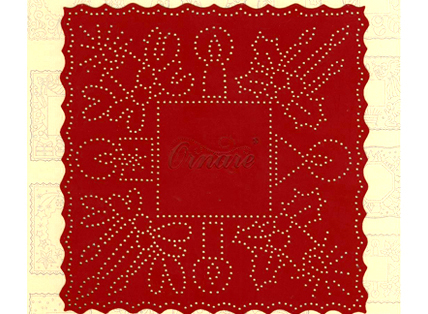 Ornare (paper piercing) Metal stencil. Place the Ornare pricking stencil on the backside of the paper and prick the pattern completely (or partially) with a single needle tool. Trace the shape of the stencil with a pencil and cut out. Decorate the inside of the frame you created on the front - side of the card with a decoupage image.